Fisherman's wharf, Victoria BC, 1976. The old Oriental Hotel, Victoria BC, 1976. The Stampeders at Memorial Arena, Victoria BC, 1976. These are recent scans of the original prints I made in my bathroom in 1975-76. 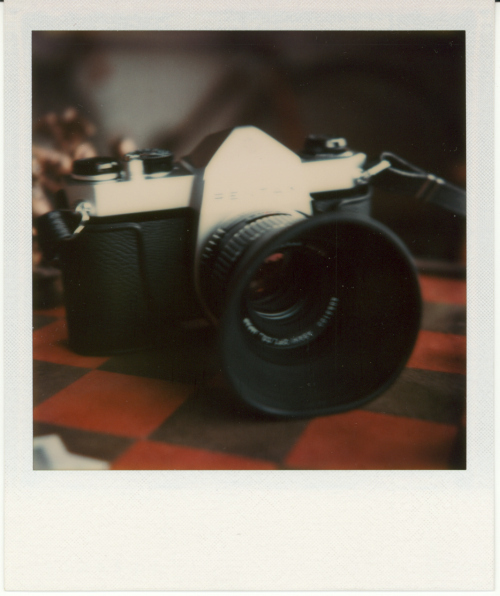 The camera, taken with my Polaroid SX-70 in 1975.